* ...I just wanna have a party for no reason PARTY! 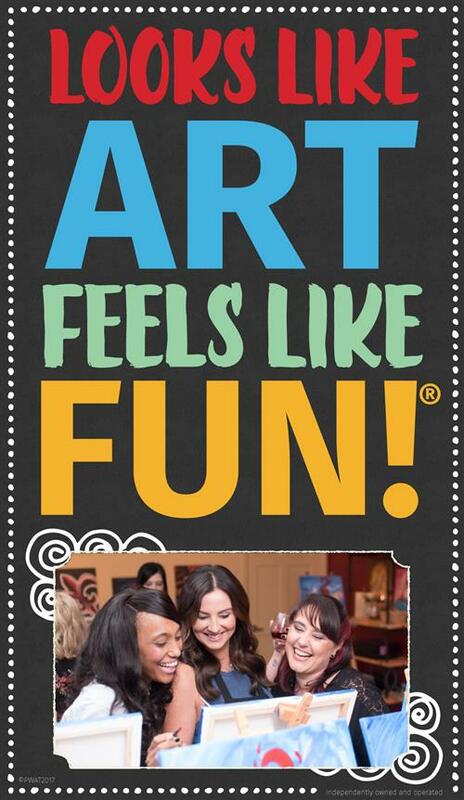 You get to choose from ANY of our 8000+ paintings. No set up, no clean up -just show up! ...although you may decorate if desired. Prices are the same per person as our regular public classes, no extra cost! Party room will be available to you 30 minutes before your party to celebrate. Additional studio time is available for $50 per 1/2hour. Friday/Saturday evenings require 20 minimum guests, 12 on all other days/evenings. Our party room can accommodate up to 22 guests, main room 40. 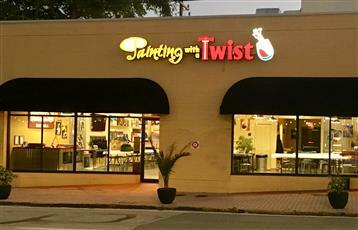 Simply call (321) 339-8852, email studio259@paintingwithatwist.com or submit a party request. At the time of reservation, the hostess will pay for 2 non-refundable seats with a credit card. Upon completed payment, the link to our painting catalog will be emailed. The hostess can collect and pay in one lump sum or we can set up a password for the event allowing each person to pay individually on our website. What if I don't have enough guests sign up? If the minimum is not met 2 weeks prior to the event, the hostess can either; pay for unfilled seats or the class will be opened to the public. If the party is canceled with less than a 7 day notice, there is a $100 cancellation fee in addition to the paid 2 seats. Yes! Reserve a minimum of 24 seats for a Friday/Saturday evening or 16 on all other days/evenings, and the hostess will earn a $35 gift certificate to come paint with us again! You may bring refreshments to suit your event; Birthday cakes, caterers, tailgate snacks, adult beverages. Be sure to remember glasses/cups, plates, ice, utensils etc! Only paid painters are allowed with the exception of parents of younger children. However we encourage parents to allow their children to be creative and work on their own with the assistance of our artist only. We promise they will do well and have fun! Be sure to have your guests arrive 10-15 minutes before the start of class. We start and end on time! This is not a drop in event like some parties, and we don't want anyone to miss out on instruction. If class start time is delayed due to late arrivals, you may not have time to finish the painting OR you may reserve the room for more time ($50 per 1/2hour). Reserve your space as soon as you can, this will ensure you get the room and time you want. Fridays & Saturdays book quickly.